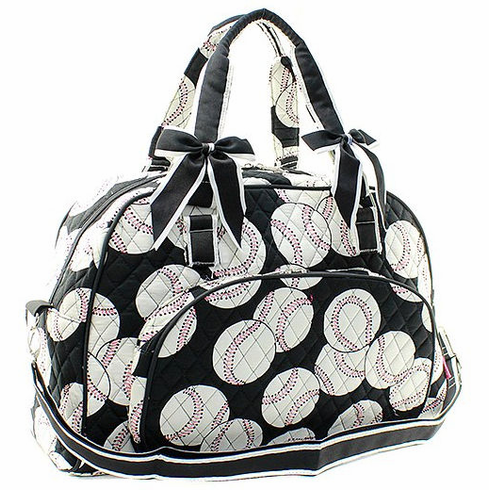 Baseballs on Black Small Quilted Duffle Bag. Measures appx. 18.5"(L) x 12"(H) x 8"(W). Inside zipper and inside open pockets. Reinforced Adjustable Shoulder Strap with Belt Loop.